The need for doing something about workplace wellbeing is clear, but it is not always easy and employees are not always sure how to approach this with their employers. 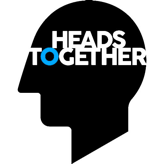 Emma Jacobs talks to Jaan Madan and Nigel Jones about what senior leaders can do to improve mental health in the workplace. Nigel talks about the importance of reducing stigma, improving mental health literature and identifying practical steps that businesses can take to help people remain well. The key to this is engaging with senior leaders and providing a forum for them to discuss with others. Jaan talks about the importance of senior leadership buy-in, but also how it is key to have workplace wellbeing cascaded throughout the whole organisation. Line managers are also identified as being integral to this, as they are often the people with the responsibility of directly supporting the wellbeing of an employee. This podcast is just over 13 minutes.